Photograph depicts (l-r) Cyril Leonoff and Mayor Gordon Campbell shaking hands as Campbell gives Leonoff his award. 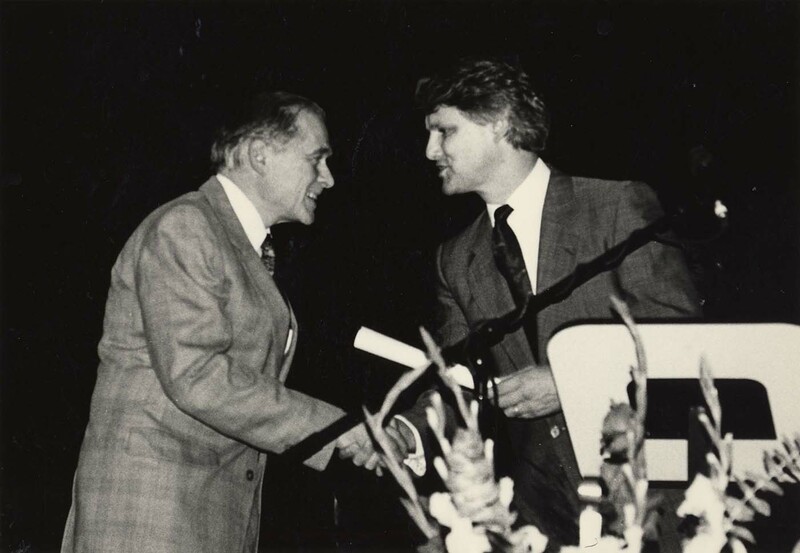 Written on the verso: "Mayor Gordon Campbell (R) presents Vancouver Heritage Award to Cyril Leonoff for his book. An Enterprising Life: Leonard Frank Photographs 1895-1944, on February 18, 1991. 55%."